Today, more than ever before, our hands are full with the onerous task of rescuing this nation from the numerous problems presently bedeviling her and bring her to safety station in no time. enemies both within and without. Enemies so desperately wicked, so brazenly undisguised a times, and united in destroying her to enrich their vast estates at home and abroad. Above all, it has been the foolishness and misfortune of Nigeria and Nigerians through its successive rudderless leaders to have failed to explore to the fullest the vitality consisted in her mixture of different elements. To have failed, also, to diversify the economy when the means to achieving it come in excess. 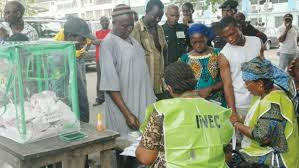 As at the last count, Nigeria boasts impressive three hundred and fifty ethnic nationalities. And a population bordering 180 millions going by the last census. A highly cultivable land mass and rich also in so many mineral resources. Resources sufficient enough to build great institutions, culture of selfless service to fatherland and enduring value of mutual co-operation in a nation prosperous whose wealth should benefit all rather than the few it currently supports. The so call strength in diversity where all constituent sections are allow to play their parts base on their areas of core competences and endowment both human and material while endeavouring towards collective glory. Having willfully operated a mono-economic model for so long and failing to diversify the economy by building new capacities worth building when the system was awash with enough petrodollars; the price we are definitely paying now. Now petrodollars has dwindle to a trickle owing to historic fall in prices of crude oil in the international market. What is more, the industry's value chain has been left untapped and undeveloped. From north to south, and from east to west we are confronted by myriads of problems or challenges if you please - from under-development, unemployment, vandalism, renew militancy, cultism, hopelessness, hunger, violence, youth restiveness, religion intolerance or extremism, economic uncertainty, regional agitations to name a few. How can we possibly tackle all these with the speed its deserve to avoid more consequential catastrophes which presently looms over the republic ? While l so much agree that the task of correcting the ills in the land is the responsibility of all. But to a large extent, I think that assertion is a very loose one because its carelessly exculpate the class who should borne the responsibility more. And which class I am referring to : the elites. Let happily assume for a moment that we are in a democracy and maturing which to locally co-opt the word of American thinker- Charles A. Beard, is founded on the principle that the issues of Nigerian life are to be brought into the open. They are to be fairly and freely and fully discussed. To the best of my knowledge, we are yet to see any semblance of that since the birth of the republic in 1963. What we have repeatedly seen were talk shows in which representatives appointed or elected come with the intentions of getting something for their region to the detriment of others. What a window of opportunity that would be, however, if we are able bring to the front burner devoid of hidden ethnic agenda all developmental issues confronting her. That is not enough, though, but a good way to start. A very good way to start. I repeat. After all it would guarantee that everybody both the old and young; the rich and the poor; the wise and foolish have contributed their differential intellectual resources or quota as it were and no one is left behind. We must give up on the cheap, stupid and petty notion that progress of any kind is a product of chance and wishful thinking. If we truly desire for enduring excellencies across board, our leaders and elders must be seen as been true to type and not the selfish rent-seeking pot-bellied batallion of our living memories. Believe me, the Nigerian masses would certainly respond in the most complementary manner befitting the emergencies of the time. And the best way to start is for the leaders and elders to begin to show intense love and loyalty to her; support its constitution; obey its laws; respect its flag; and to defend it against all enemies. While economic hardship bites harder and harder by the day. Ask me again who should be in the forefront of this restoration battle? The leaders and the leaders alone. Anything short of this will not only be unacceptable it would spell doom for the country. Because a situation whereby their is different set of rules governing the lives of the high and mighty; and another for the lowly and weak is akin to living in the jungle.